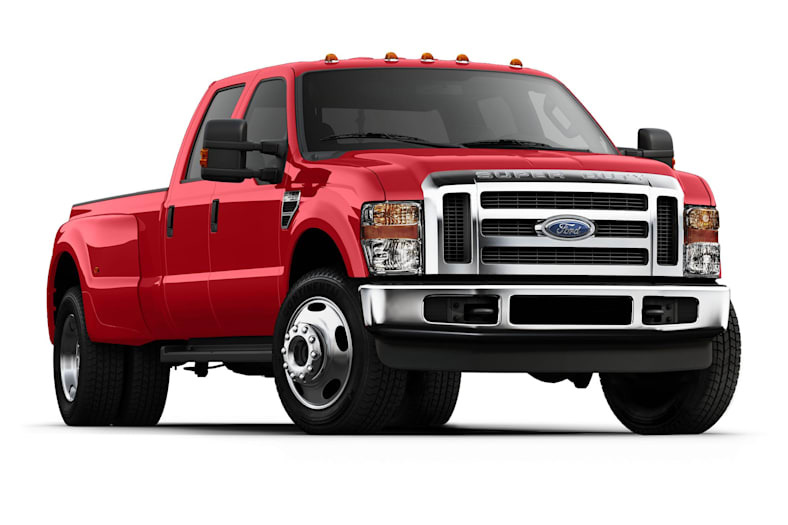 The F-350 is Ford's Super Duty full-sized single rear-wheel (SRW) or dual rear-wheel (DRW) truck. The F-350 manages to mix innovation, comfort, and style into a competitive vehicle that has impressive torque ratings, towing capacities, and payloads. The F-350 is available as a 4x2 or a 4x4, has three different cab configurations, and has four trims available. The rugged and reliable XL, the well equipped XLT, the sporty Cabela and the luxurious Lariat. Three engine choices include a 5.4-liter 300-hp Triton V8 with 365 lb.-ft. of torque. A 362-hp Triton V10 with 457 lb.-ft of torque or a 350-hp twin-turbo 6.4 liter V8 Powerstroke diesel with 650 lb.-ft. of torque. Two available transmissions include a six-speed manual transmission or a TorqShift five-speed automatic transmission with Tow/Haul mode. The F-350 offers unique amenities such as a supplemental cab heater, a reverse camera system, upfitter switches, a navigation system, a rear seat DVD entertainment system, satellite radio, SYNC, a rear folding tailgate step and a trailer brake controller. For 2010, the Ford F-350 SRW replaces the FX4 trim with the new Cabela trim that caters to the outdoors and a recreational lifestyle.